When we heard Mandy Hubbucks’ uplifting tale about how she fell in love with her first husband all over again more than 30 years after they split, we knew a magazine would love to feature her story. 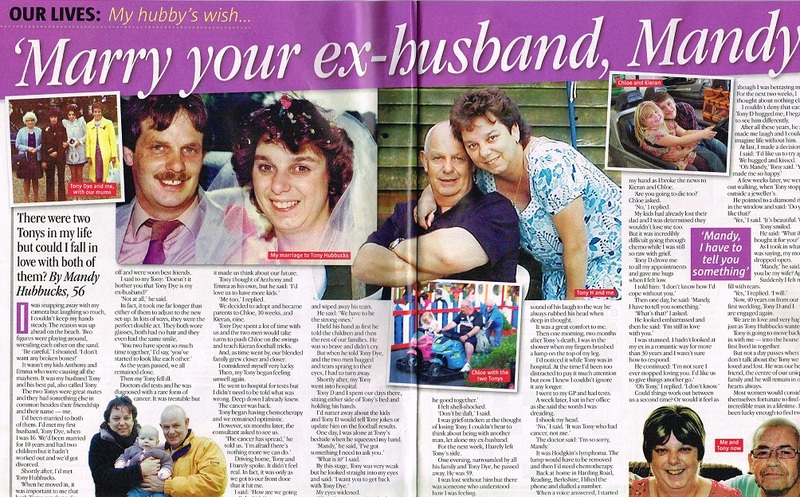 Even more incredibly, Mandy got back with her ex after her second husband Tony said it was his dying wish. Mandy’s first husband – also called Tony – also happened to be Tony’s best friend, and he knew they would be great together. As he lay dying he pleaded with Mandy to get back with Tony so she would be looked after. 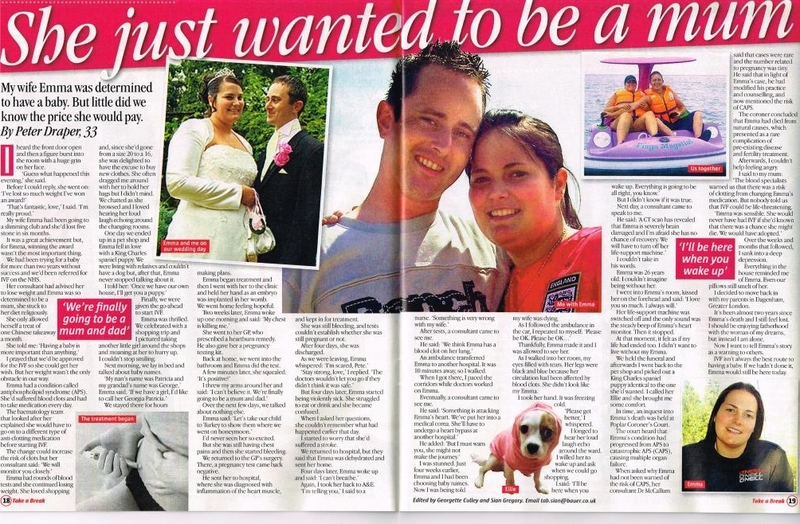 This week Mandy’s amazing story appears in Take a Break magazine, where she tells how she married the first Tony, Tony Dye, in the 1970s when they were teenagers. They went on to have two children together, who are now grown up, but split up in 1982 after 10 years together. That’s when Mandy met her second husband, Tony Hubbucks, and introduced him to her ex. The pair hit it off immediately and over time Tony D became part of the family too. 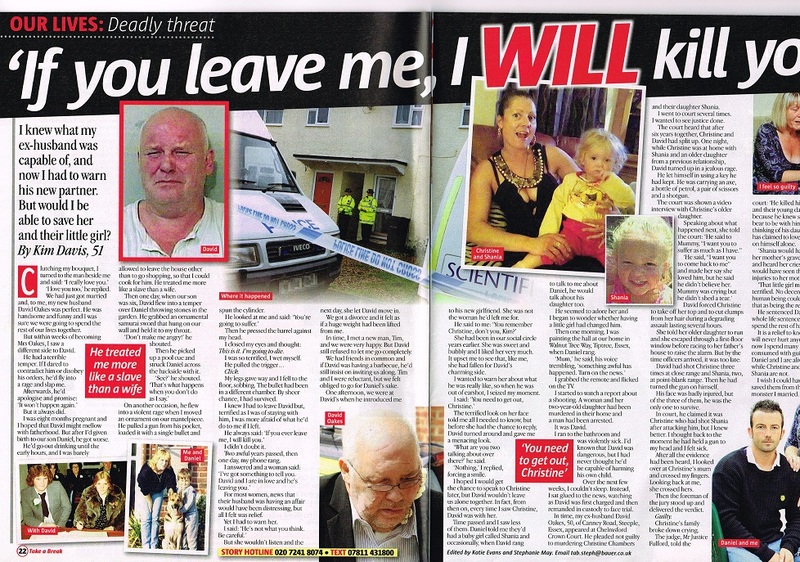 But the couple’s lives were turned upside down when Tony H was diagnosed with a rare form of skin cancer. He went into remission but two years ago the cancer returned and Tony received the devastating news that it was terminal. Six months later, as he lay dying in hospital, Tony took Mandy’s hand and told her he wanted her to get back with Tony D as he wanted her to find happiness again and Tony was the one man he could trust to look after her. Mandy was flabbergasted and says at first she wouldn’t even entertain the possibility of being with another man. When Tony died in March 2011 she was consumed by grief and simply focused on getting her and Tony’s children, Kieran, 14, and Chloe, 5, through the next few months. Then, in another cruel twist of fate, Mandy herself was diagnosed with cancer. She found an egg-sized lump on her groin and was told she was suffering from Hodgkin’s Lymphoma. Terrified she would leave her kids without a mum or a dad, Mandy was determined to beat the cancer and started a rigorous course of chemotherapy. Throughout this time Tony D became her rock, driving her to hospital appointments and taking the kids to school. Then one day Tony blurted out that he still had feelings for Mandy and she revealed she felt the same. At first Mandy felt guilty for falling in love with another man but then she remember it’s what Tony H wanted. More than 30 years after their divorce, the couple started seeing each other again, and are now planning to remarry. Their older children Anthony, 38, and Emma, 36, are thrilled for them, as are Kieran and Chloe. If there’s a happy love story you’d like to share with Take a Break, email us on [email protected] or fill out the sell my story form to the right.